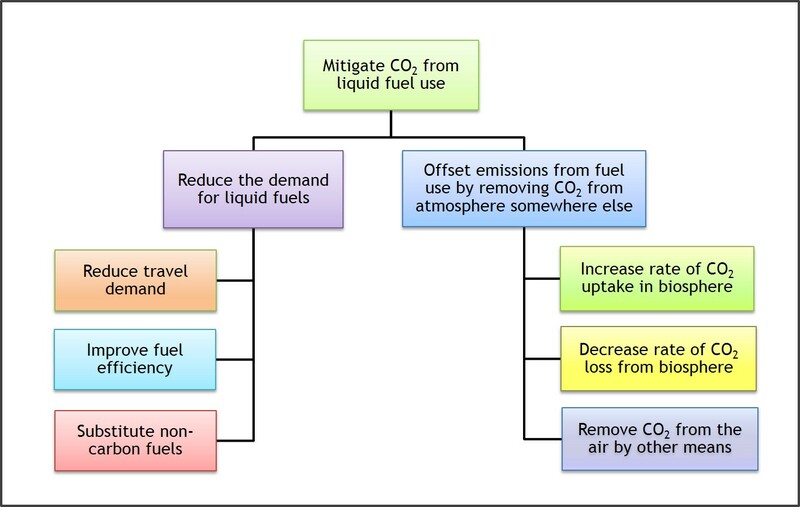 In addition to reducing how much fuel gets burned, cutting the climate risk from gasoline and other liquid fuels requires balancing their CO2 emissions by removing additional CO2 from the air in locations other than the transportation sector. It's easy to take for granted just how important liquid fuels are in everyday life. Gasoline, diesel and jet fuel remain crucial for transportation. Petroleum fuels are the world's most widely used form of energy and rank second to coal as a source of global CO2 emissions, a situation unlikely to change for at least two decades. 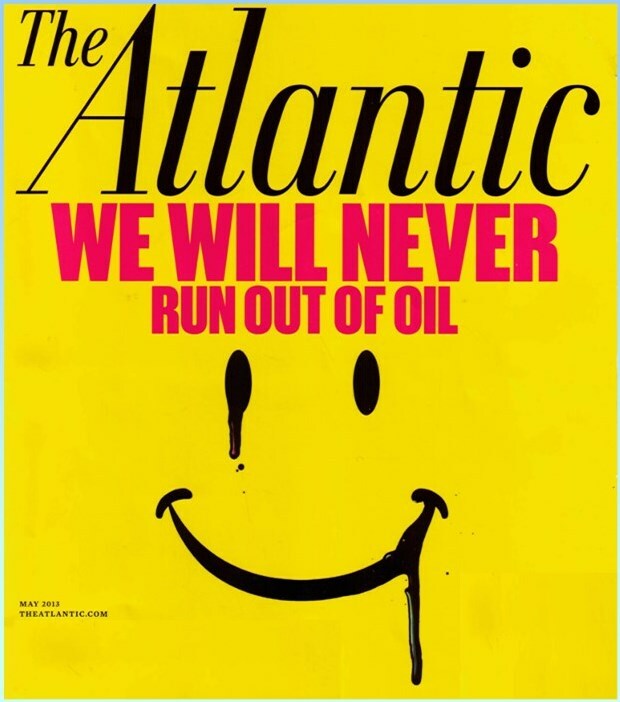 Although some worry about peak oil, in reality the world is not about to run out of fossil hydrocarbons that can be turned into convenient liquid fuels at an affordable price. The Renewable Fuel Standard (RFS) confronts many issues but perhaps its ultimate test is how well it helps meet the climate challenge. The world isn't running out of oil and so the business case for renewable fuels hinges on their role in reducing CO2. That role is much more restricted and farther into the future than RFS advocates, including many green groups, have assumed. From a carbon perspective, the very premise of the RFS is fatally flawed. Recent analysis reveals that fuel lifecycle models, such as those used in policies including the RFS and California's Low-Carbon Fuel Standard (LCFS), make a serious mistake in their baseline assumptions. This error cuts to their very core but is only just now coming to light. This isn't another debate about net energy or processing efficiency. Rather, it's about how these policies build in an assumption of carbon neutrality without first verifying the conditions under which it is true. The RFS assumes that just because biomass recycles carbon, then substituting a biofuel for a fossil fuel automatically neutralizes the CO2 coming out the tailpipe. That's not true for the biofuels now produced at market-meaningful scale. is harvested for fuel than when it is harvested for feed or food? Let's think about what occurs when you substitute ethanol for gasoline, and let's start with the facts on the ground. There, the threshold question is this: does a harvest keep more CO2 out of the air when it's used for fuel than when it's used for other purposes? 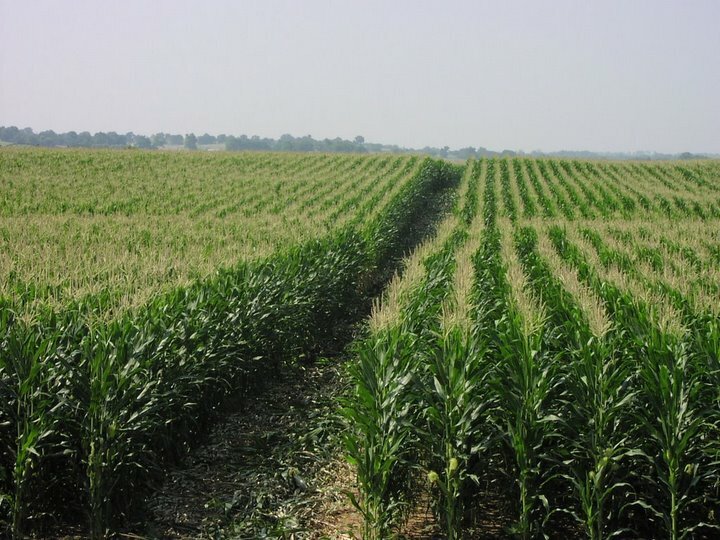 For example, does corn that goes into biofuel remove more CO2 from the atmosphere than the corn that goes into cornmeal? The answer is no. Now, if we grew feedstocks on barren land, say in a desert where nothing was growing before, then that would absorb more CO2 than was otherwise being absorbed. But that's not what's happening. The vast majority of renewable feedstock is harvested from land that was already in production. You might argue, well, doesn't carbon stay in the ground when you use a biofuel instead of gasoline? Yes, carbon stays in the ground, but that doesn't necessarily mean that less gets into the air. A reduction occurs only if you increase the net rate at which CO2 is removed from the air in other locations. Remember that at the car, the amount of CO2 directly emitted varies little among liquid fuels. And so as far as climate is concerned, if biofuels have a benefit, it's not when they're burned. It always comes down a question of how much more CO2 gets taken out of the air somewhere else. Lifecycle models completely gloss over that question. Because they leave existing land use out of the equation, their carbon balance calculations are incorrect. This problem is more fundamental than the issue of indirect land-use change (ILUC), which only adds to the uncertainties involved. In short, lifecycle policies such as the RFS and LCFS are a mistake as far as climate is concerned. They risk doing more harm than good. Policymakers need to go back to the drawing board and do the careful homework that was never done before these programs were put in place. Climatic Change 121(4): 801-814, http://dx.doi.org/10.1007/s10584-013-0927-9.